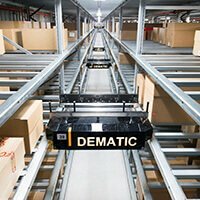 Dematic, a leading global supplier of integrated automated technology, software and services to optimize the supply chain, announces plans to implement an automated meat buffering and storage solution in a meat processing facility for Australian Lamb Company. The new Dematic system will be used to buffer meat products in a chilled and frozen environment and prepare shipments of meat products going to hotels, restaurants, butchers, and supermarket chains. It is scheduled to start up during the 2nd quarter of 2019.